Pope Francis is now facing the slowdown of his reforms. The establishment this week of a Commission for Communications to shape and implement the proposals of the Committee for Communications appointed some time ago by the Council of Cardinals may represent a further slowdown in the path of curial reforms. When it was time to make a decision, the Council of Cardinals suggested to the Pope the establishment of a new commission, one which lacked representatives from any of the key Vatican media outlets like Vatican Radio, “L’Osservatore Romano” and the Holy See Press Office. This way the moment for a clear decision about a needed restructuring is once again put off. At the moment, Curia reform promotors themselves are seemingly waiting for something. After ten meetings, the Council of Cardinals appointed to advise the Pope on reforms has abandoned any initial revolutionary project they may have had in mind. The Council originally thought to change the Vatican in a very short time. But it ended up having to take into account many critical problems that the Cardinals did not expect. Among these was, first of all, the need to determine a theological foundation upon which to shape the reform. This is why the reforms have stalled. Meanwhile, the media has disseminated a narrative according to which the old curial hands have blocked the path to reforms. But perhaps the contrary is true. 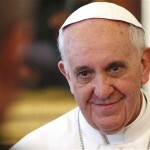 Pope Francis aims at reforming hearts, as he said in his very first interview. And the biggest opponents to the reform of hearts are those who are pushing Francis to reform the Curia’s structures. Since Pope Francis’ election, the expectations placed on this pontificate have increased with his every action or speech. This climate of expectation was fostered by those Cardinals who had campaigned in favor of his election with the complicity of the secular media. Everything in the Church was to be perceived as a breath of fresh air and revolution, as if the Church before Francis was merely a place of scandals and dysfunction. This reading obviously betrayed the facts, but it helped some people to move once again to center stage under the Pope’s shadow, such as Cardinals Oscar Andrés Rodriguez Maradiaga, Walter Kasper and Godfried Daneels. Their pastoral-theological viewpoint would have become extinct in a short time, by natural death, and their influence, already diminished greatly, had almost disappeared. These cardinals identified in Pope Francis the possibility of renewing their former influence, since the Pope was more interested in a pastoral approach to governing than in power struggles. Pope Francis’ election came at the end of a well-orchestrated campaign. Austen Ivereigh’s book, “The Great Reformer” tells about a “team” of Cardinals who campaigned for his election. Our awareness of the presence at the time of a media strategy in the service of this same goal is prompted again by the news of the recent death of Sister Mary Ann Walsh, who served for twenty years as head of media relations at the US Bishops’ Conference. During the pre-conclave meetings, Sister Walsh organized briefings for journalists with US Cardinals. These briefings were suspended after the Italian newspaper “La Stampa” published very precise accounts of what was going on within the Cardinals’ meetings, discussions that were supposed to be kept confidential. In a post on the USCCB website, Sister Walsh denounced the “La Stampa” leaks, thus subtly noting the possibility of a media agenda at the time. Benedict XVI was aware of this risk. On February 13, 2013, two days after he announced his resignation, he spoke to the clergy of Rome about a “Second Vatican Council of the media” and of the real Second Vatican Council. They were prophetic words. There followed a conclave of the media and the real conclave, a synod of the media and the real synod, a pontificate of the media and the real pontificate. In the real pontificate, Pope Francis appreciates the conservative Cardinal Carlo Caffarra of Bologna for his interventions at the Synod of Bishops; moreover, he does not dislike, but rather holds in great regard, Cardinal Gerhard Ludwig Mueller, Prefect of the Congregation for the Doctrine of the Faith, perhaps the only one able to bridge theology and the South American spirit, thanks also to his knowledge of Liberation Theology and his friendship with Fr. Gustavo Gutierrez; Pope Francis also maintains good relations with his Master of Ceremonies, Msgr. Guido Marini, and he is not against Cardinal Raymond Leo Burke, whom he had transferred to the Order of Malta from the Apostolic Signatura. There is one further thing to say about Pope Francis’ real pontificate. The Pope certainly has his sympathies and antipathies, but his “political decisions” are not based on these. The transfer of Cardinal Burke to a minor role, and, likely, the similar transfer of Cardinal Piacenza – from the Congregation of the Clergy to the Apostolic Penitentiery – , can mostly be explained by the fact that the Pope wants to foster a certain kind of pastoral approach within the Church. His choices should be explained along the lines of his desire to fashion the Church according to his ideal, more than in terms of a profound dislike of anyone in particular. And his ideal is that of a Church in a state of permanent mission, in dialogue with the world and present at the peripheries. This explains many much debated and surprising appointments, as that of Blaise Cupich as Archbishop of Chicago, or the creation as a Cardinal of Archbishop John Atcherley Dew of Wellington, New Zealand. Pope Francis’ two consistories, like some of his episcopal appointments, are a mixture of concession to the liberal world and the search for a pastoral approach. Their thread is the wish to break down careerism by abolishing the idea of designated dioceses or curial posts for Cardinals. The Pope does not consider many of his moves to be “demotions”; his approach is completely different. So different, that it took him two years before he made some Vatican-style appointments – such as the promotion of Cardinal Giuseppe Versaldi as Prefect of the Congregation for Catholic Education. Pope Francis’ choices are ultimately more cosmetic than the consequence of a huge spoils system. Essentially the Pope is profoundly a Jesuit in his austerity, and at the same time he is composed of political instincts more than theological vision. Those who pushed for the so-called revolution were counting on his political instincts. They told the Pope that the Church had to change its image for the sake of people, and that this was the reason that structures had to be altered. Pope Francis, from the beginning, seized this opportunity and thought hard about substantive changes. But he is also a Jesuit and he knows how to take his time. Early on he agreed to the hiring of several (expensive) external consultancies in order to observe how the discussion evolved inside the Vatican and to listen to everyone. This is his modus operandi: he listens to everyone, and then he makes decisions. In the end his decisions did not embrace a dismantling of the Curia, as was thought in the beginning. In the history of this pontificate, there is a moment in which the hidden Vatican, with its weight of reasoning and its reforms carried out in the spirit of continuity won over Pope Francis as he became more aware of the importance of the curial institution. At this moment, his usual consultants seem to have been sidelined. In anticipation of the encyclical on ecology, it is widely rumored that the Pope completely rejected one of Victor Fernandez’s drafts, although he is the Rector of the Catholic University of Argentina and one of the Pope’s principal ghostwriters. It is also rumored that “human ecology” – a legacy of Benedict XVI – now occupies more space in the drafts of the upcoming encyclical, and that this concept, if included, would balance some of the ecological positions coming from the 2007 Aparecida document, very much present in Pope Francis’ draft of the encyclical. Nevertheless, by the time the hidden Vatican started winning over Pope Francis’ heart, certain situations inside the Vatican had already gone sour. As a consequence, the quiet revolution begun by Benedict XVI could only be carried forward within the new forms of the “parallel Curia,” and this adjustment has created the need for further discussion. This is the reason that the Council for the Economy and the Secretariat for the Economy remained without statutes for a long time, and that the Pontifical Commission for the Protection of Minors as yet has no statutes. This is also the reason the Curia has not been redesigned as quickly as expected. There was a simple path, which was to follow the reform path already established. For example, the Pope could have released additional “motu proprios” to identify and transfer specific competences of various Vatican dicasteries, appointing only one president over a number of them and further reassigning resources. On the economic side, it would undoubtedly have been easier to enlarge the Prefecture for Economic Affairs, giving it oversight of the Vatican City State administration – this is how the Secretariat for the Economy was designed. The establishment of a sort of parallel Curia and the continuous discussion about new structures has slowed down the process of an already ongoing reform. At the moment, multiplying discussions serves only the aims of the old men who have returned to power and are desirous to retain their influence. Not by chance Cardinal Maradiaga has spoken about the possibility of a third Synod on the Family, while the German bishops published a multilingual translation of their summary of the German faithful’s responses to the Synod’s questionnaire, probably hoping to be able still to dominate the discussion. Today’s enemies of Pope Francis’ reform are therefore probably the same cardinals and bishops who initially backed the reform – those, that is, whose promotion of a media pontificate over the real pontificate has risked a wholesale misinterpretation of Pope Francis’ intentions. I don’t believe the tenor of this article knowing that Gagliarducci is not a particular fan of Pope Francis. Once again I find you’re your analysis fascinating and thought provoking, very well written but overly optimistic. I just can’t buy it. March 2013 saw the introduction of an ecclesial model not explored by Avery Dulles – church as circus. Frequently I find myself jolted by reports of Maradiaga traveling about the globe hawking some piece religious or moral speculation posing as theology and exhorting all of us into the “Big Top” for a really big show. Does this man not have something to do in Honduras? Oh, I forgot. Honduras has already achieved the distinction of becoming the first Latin American country to have a protestant majority – I guess his job is done there. Why is such an individual out there doing this promo work? Why would Pope Francis have this man making presentations? Can’t the Pope evangelize as other popes have done? Does he have anything to say? Can he say it and make himself understood as the same time? If he were to succeed at that effort, would it be found orthodox? There is something radically wrong with this pontificate and no one is holding him or his entourage accountable. “a species of infidelity in men who, having professed the faith of Christ, corrupt its dogmas”. “The right Christian faith consists in giving one’s voluntary assent to Christ in all that truly belongs to His teaching. 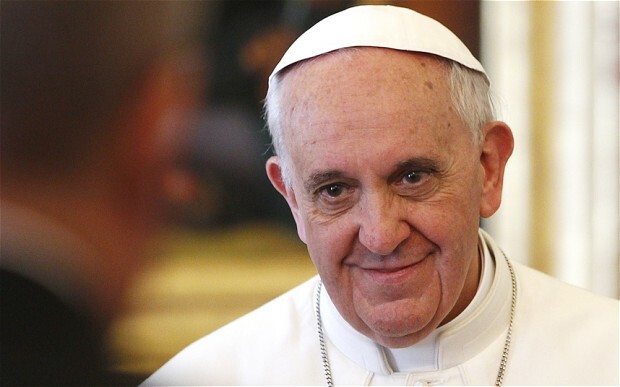 I love this man (His Holiness Pope) with all my heart I wish him a long life, health and safety. I am a Muslim and I love all people of all beliefs and religions and sects. I love the Muslim, Christian and Buddhist and Jewish, and I hope with all my heart for all life . Admirable sentiments, Hussain. Would you please tell me what the word ‘love’ means to you? Peace. It’s admirable that the pope wants to avoid naming careerist clerics to the episcopacy. From what I’ve been told, however, Bishop Cupich is an example of the careerist bishop. Yet another example, out of a plenitude, of words not matching actions. Is this a geriatric or a moral problem? Hussian unless you accept Jesus of Nazareth as the Son of God who died for our sins you can not be counted as one of the chosen. Love, yes. But love God first and the Word he has revealed. Hassain, Thank you or your words. The following may interest you, as it reflects the Catholic Church’s position with Islam. On May 6, 2001 Pope John Paul II, the first pope to pray in a mosque, delivered an address at Umayyad Mosque in Damascus, saying: “It is important that Muslims and Christians continue to explore philosophical and theological questions together, in order to come to a more objective and comprehensive knowledge of each other’s religious beliefs. Better mutual understanding will surely lead, at the practical level, to a new way of presenting our two religions not in opposition, as has happened too often in the past, but in partnership for the good of the human family.” This Mosque of Damascus is famous for containing the head of John the Baptist. Thank you for a very thought provoking article. It makes sense to me. Although the appointment of bishops has the stamp of approval by the pope, I think it is a rubber stamp approval; he has enough fights on his hand by those who are attempting to control him through the media. I suspect he would rather like to appoint men with supernatural faith over the recently politically correct career oriented ones who lack supernatural faith.